The Wayside Hotel can now be found at waysidehotel.com. 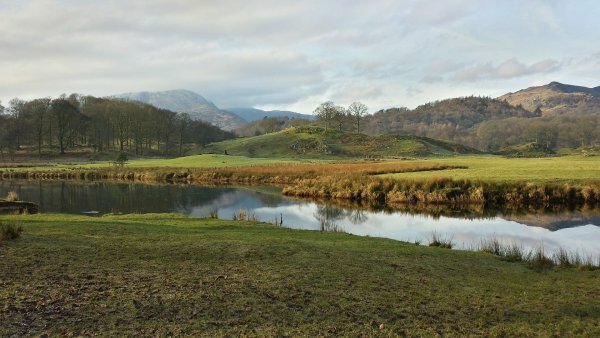 Travellers heading to the Lake District may be surprised to learn that it is England's largest National Park, with over 15 million visitors every year. With 16 lakes, mountains, woodlands, picturesque towns and numerous attractions, this is the perfect destination for friends, couples and families alike. Various visitor information centres are on hand with helpful suggestions and guides, including ideas on accommodation and where to stay. Here are three popular areas to explore. This is the fifth largest lake, and is incredibly pretty, having three islands, making for some beautiful photo opportunities. Towering above the lake is the Old Man of Coniston, a mountain that is often the finishing point of a scenic walk of the surrounding area. This lake lies just ten minutes from the historic town of Keswick and is the home of a favourite cruise trip. The Theatre by the Lake is a renowned landmark, with year-round productions starring well-known actors. This lake is named after the village of Grasmere, famed for being the site of the poet Wordsworth's grave. Rowing boats can be hired for a pleasurable afternoon, perhaps followed by a tasting of the unique Grasmere Gingerbread. There are many other lakes, towns and villages in the Lake District, each one equally deserving of a visit. Notable attractions include the Langdale Valley, the Northern Lakes and Ullswater. Numerous activities include hiking, cycling and horse-riding for outdoor enthusiasts, plus tea-rooms, cozy pubs and elegant restaurants for a well-earned break.